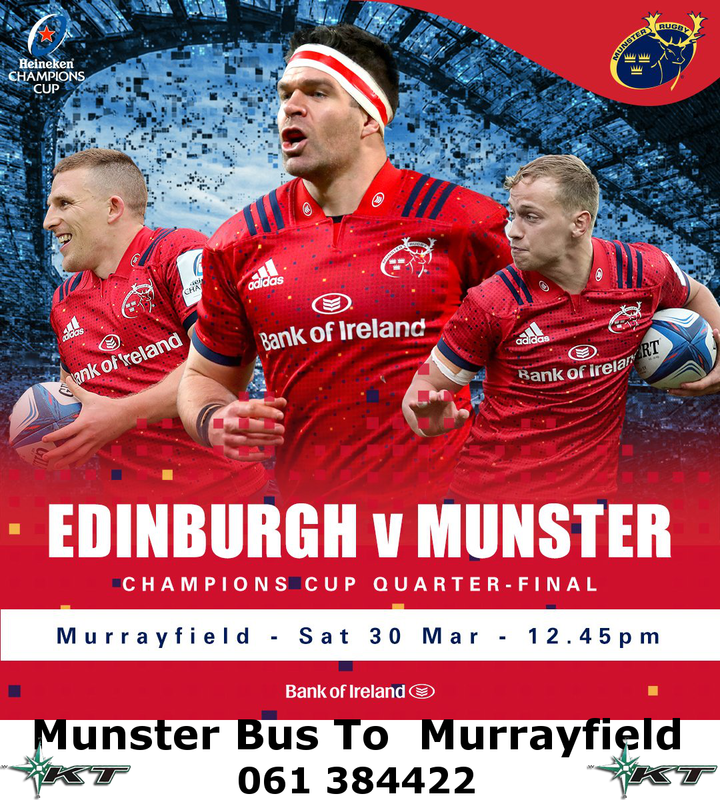 Kelly Travel will operate a bus service for Munster v Edinburgh. Departing Limerick on the 29th @ 5am. Arriving Edinburgh on the 29th @ 7pm. Returning on the 30th @ 6:45pm. Arriving Limerick 8am approx 31st . Bus & Ferry : €115. For more details and booking please call 061 384422.